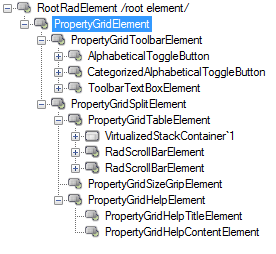 This article describes the inner structure and organization of the elements which build the RadPropertyGrid control. PropertyGridElement: Represents the main element of the control. AlphabeticalToggleButton: Sorts the property grid items. CategorizedAlphabeticalToggleButton: Groups the property grid items. PropertyGridTableElement: Container element of the property grid items. RadScrollbarElement: Allows scrolling of the items. PropertyGridSizeGripElement: Element allows sizing of the description pane. 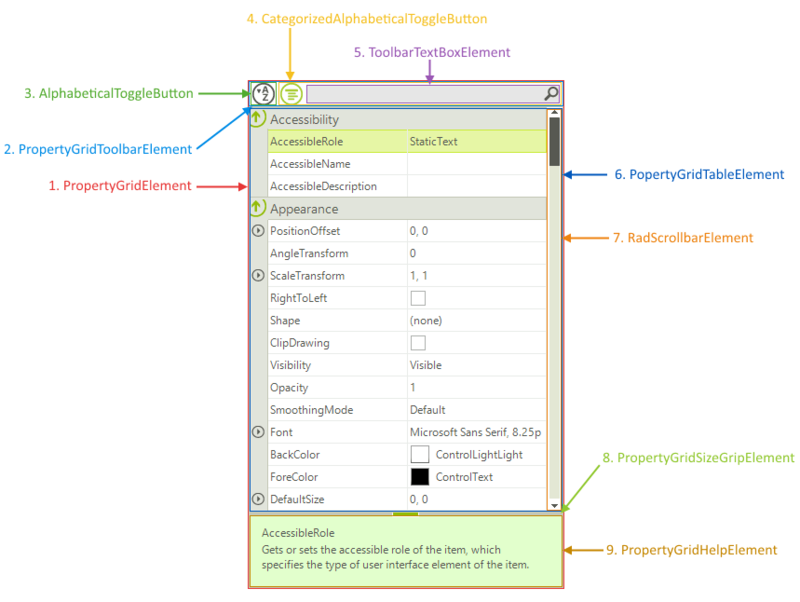 PropertyGridHelpElement: Element providing a description of the currently selected item.